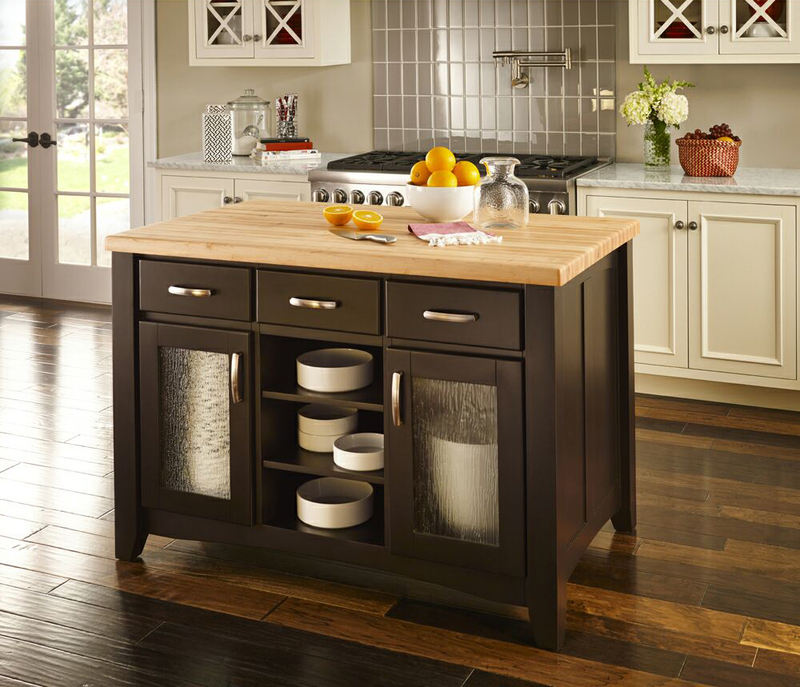 Adding more cabinets is an excellent way of gaining storage, if you can do it. 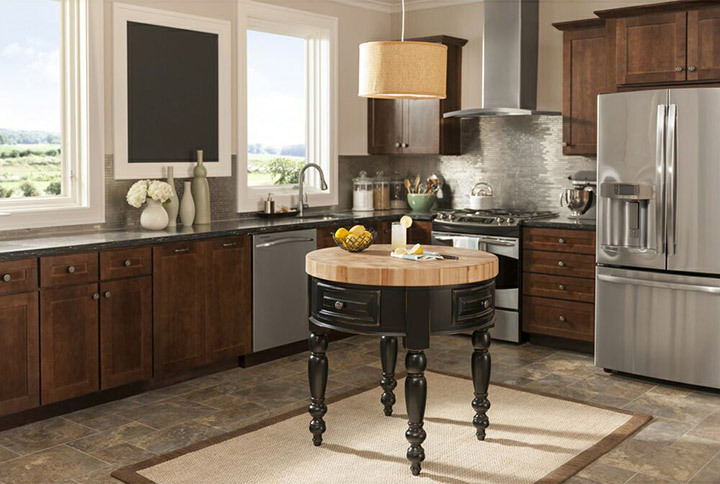 But some kitchens are simply too small; if you add cabinets, you’ll overwhelm them. 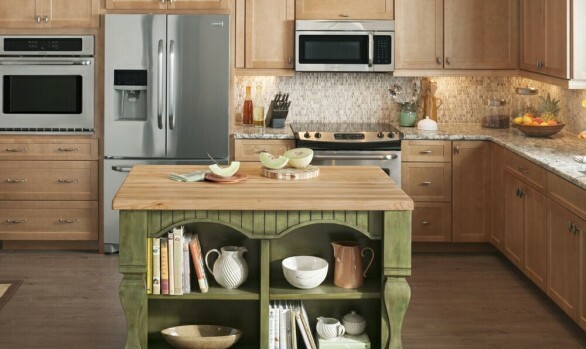 Instead, look for creative ways of adding storage that will fit easily in small rooms. Sometimes these solutions add space. Other times, they simply use existing space better, so you end up with more room. Either way, think carefully about what will and will not work with your new design. 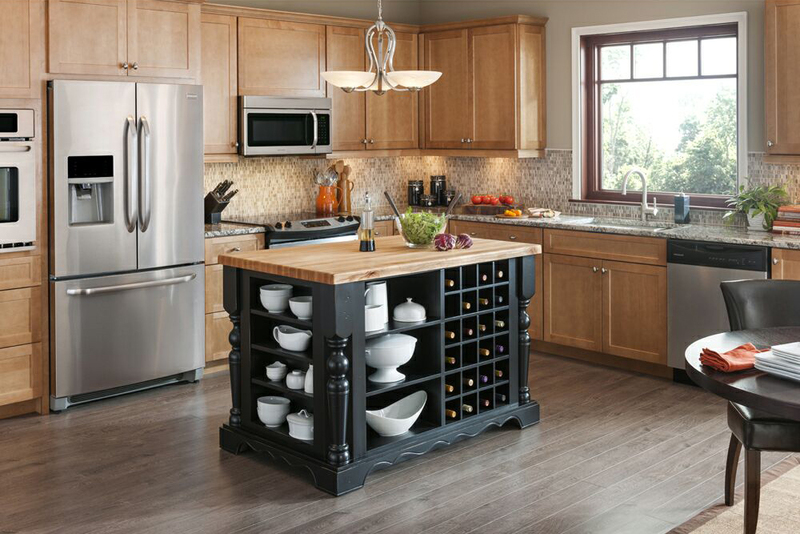 And always, always aim to add storage to your kitchen whenever possible, in whatever possible way. 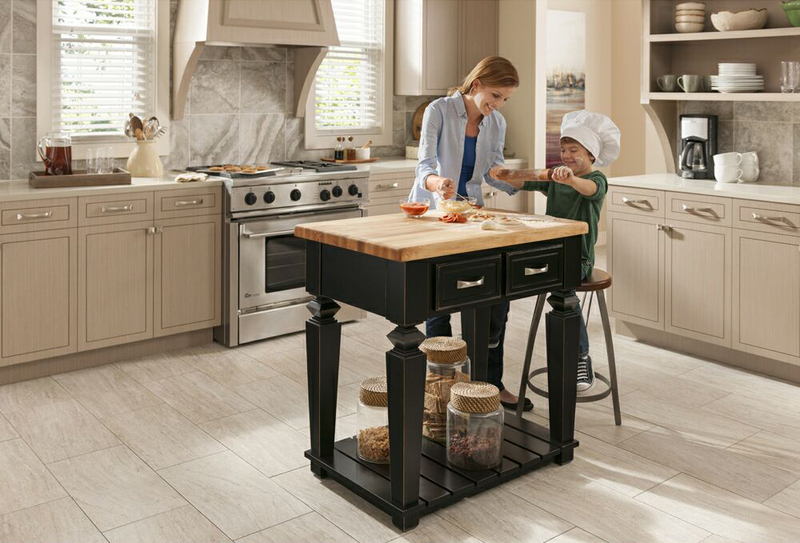 If you have a kitchen island, or are installing a kitchen island, make sure the space above the island is used to best effect. 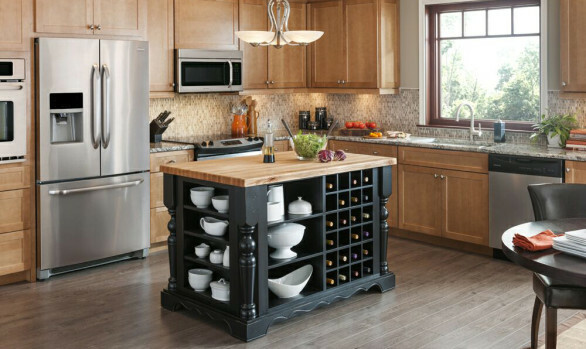 A bar above the island can hang pots, pans, colanders and utensils, freeing up valuable cabinet, shelf, and drawer space for other things. These can be as simple as a metal pole running from one end of the island to the other, or as ornate as an elegant copper oval. 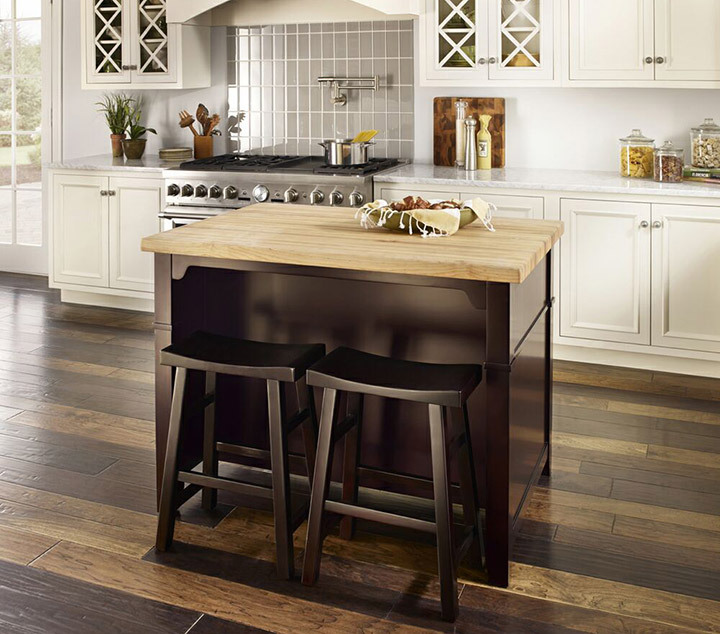 Ultimately, it should match your new décor and harmonize with the rest of your kitchen. 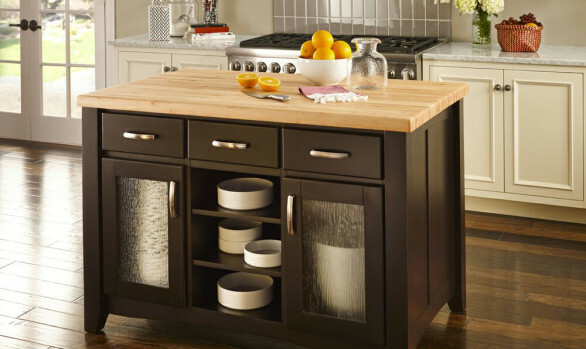 Use Lazy Susans and turntables inside deep shelves to make it easy to reach the back of the cabinet. If you can’t access something, you might as well not have it. If turntables don’t appeal to you because of the wasted space (a circle in a square will always waste a little space) and you have the room in your kitchen, consider shelf drawers instead. These fit on top of your shelves inside your cabinets and slide out to allow you to easily access the back of the shelf. Look for unusual places to store things. Shallow drawers installed in the baseboards under cabinets are a great place for storing vacuum bags, mouse traps, and anything else that’s thin and that you don’t have to access all that often. 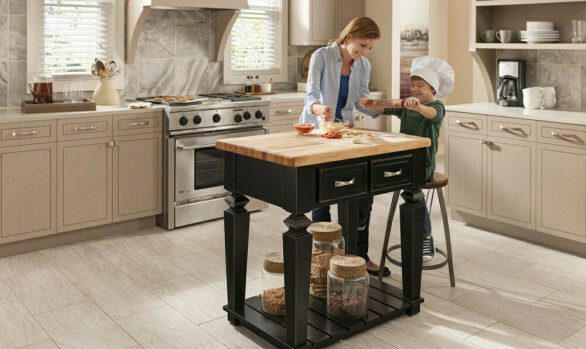 Large baseboard drawers give room to store baking sheets and pizza trays. 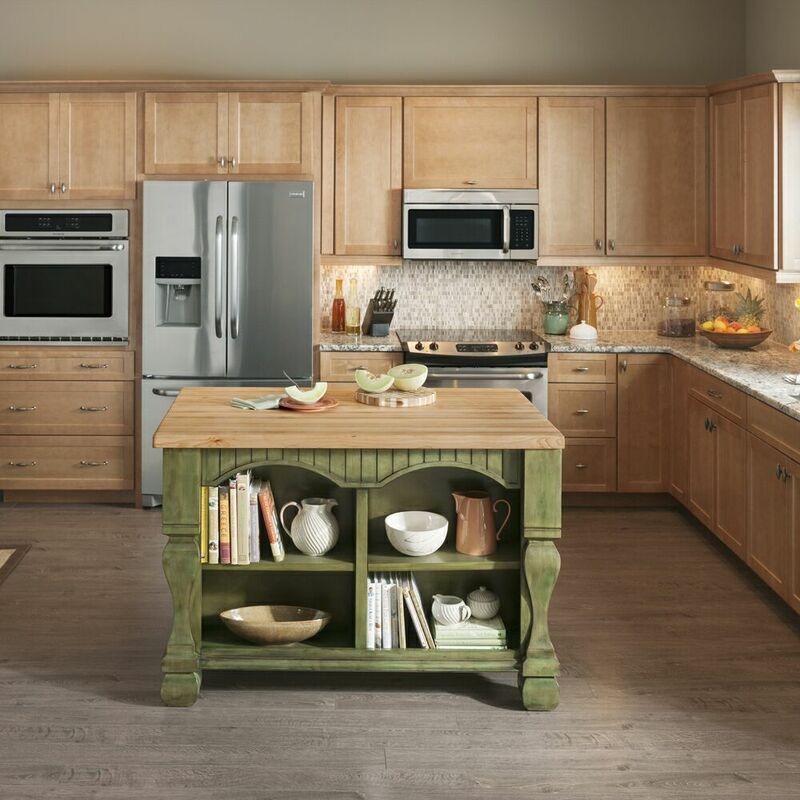 What about over your kitchen cabinets? Do you have empty space going to waste there? Again, creative storage takes advantage of any space. Maybe you only have a few inches. Stack cookbooks you seldom need on their sides with their spines facing out, so you can see where they are at a glance. Or, maybe you have many inches, or even a foot or more of space up there. 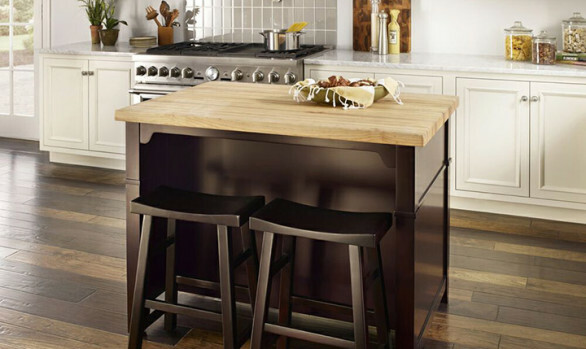 Invest in attractive baskets and store things like holiday-themed dishes, potholders, napkins, and tableclothes there. Or, buy some sturdy bookends (pretty but fragile bookends will do you no good here) and use the space for cookbooks. Hooks on empty sections of the wall are a great place for keys, potholders, dish towels, or anything else that can be hung in a small space. Be creative. Be innovative. And don’t let any space go to waste. 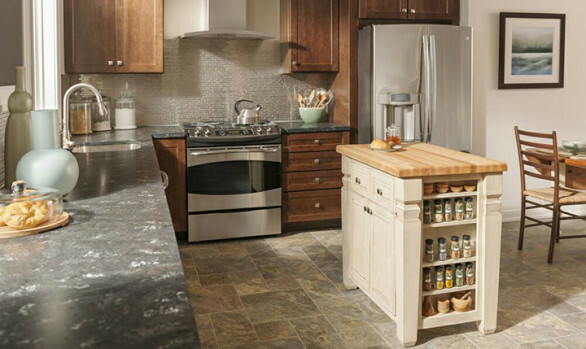 A kitchen remodel is a priceless opportunity to add more storage to your home. Don’t waste it. 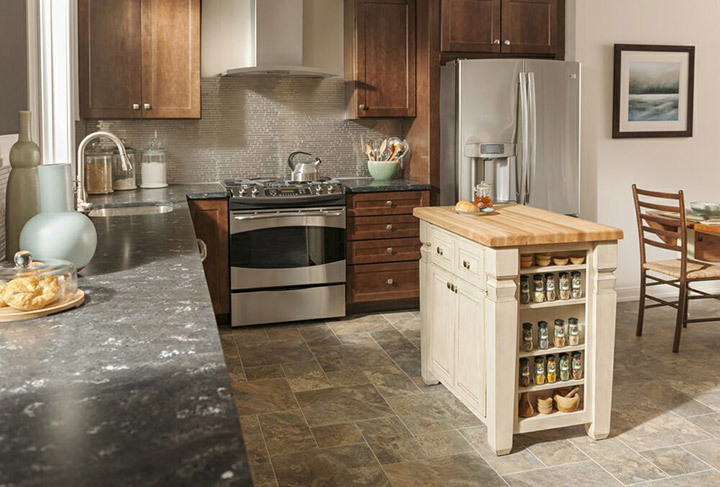 Contact Distinctive Cabinetry on your next Kitchen Remodel. 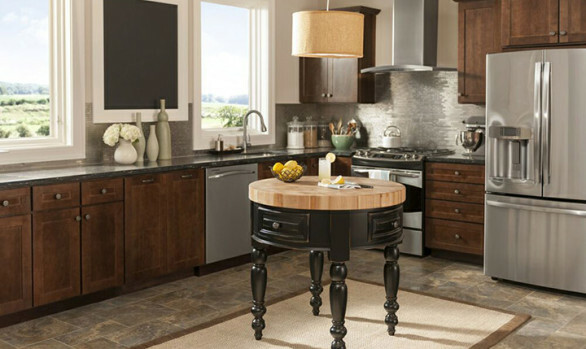 Our team of kitchen designers will help you with everything from space planning to cabinet, tile & kitchen island selections.